This collection of the works of America’s legendary first African-American filmmakers is the only one of its kind. Funded in part by a highly successful Kickstarter campaign, the packaged set includes no fewer than a dozen feature-length films and nearly twice as many shorts and rare fragments. Subject matter includes race issues that went unaddressed by Hollywood for decades. 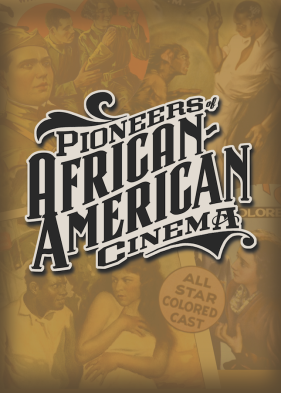 The Pioneers of African-American Cinema collection includes new digital restorations of over a dozen feature films, plus shorts, fragments, trailers, documentary footage, archival interviews, and audio recordings. This clip is a scene from Richard Maurice’s ELEVEN P.M. (circa 1928). It is regarded by historian Henry T. Sampson as one of the most outstanding black films of the silent era and is Maurice’s second and only surviving film. Eleven P. M is one of more than a dozen feature films showcased in Kino Lorber’s five-disc collection PIONEERS OF AFRICAN-AMERICAN CINEMA, now available at KinoLorber.com and Amazon.com. Music is by Rob Gal. Mastered from 35mm film elements preserved by the Library of Congress. These films and filmmakers deserve to be remembered, honored and explored. Their contributions play a significant role in the development of the American cinema. This entry was posted in Actors, Directors, Film History, Musicals, Writers and tagged #iheartfillmblog, #Oscar Micheaux, #Spencer Williams, African American Filmmakers. Bookmark the permalink.